Add protection and style with this resilient steel-tube upper bumper crafted and styled specifically for the General. Designed to protect the upper hood, front fascia and headlights from damage due to unsuspecting trail debris and work-site obstacles. Sculpted and snug-fitting style flows seamlessly with the Generalâ€TMs design for enhanced looks. Corrosion resistant black powder-coat finish is designed to withstand the toughest off-road conditions. 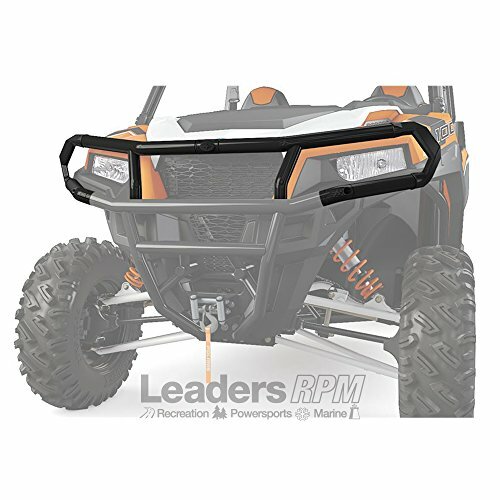 Requires Sport Low Profile Front Bumper (2881094).Add protection and style with this resilient steel-tube upper bumper crafted and styled specifically for the General. Designed to protect the upper hood, front fascia and headlights from damage due to unsuspecting trail debris and work-site obstacles. Sculpted and snug-fitting style flows seamlessly with the Generalâ€TMs design for enhanced looks. Corrosion resistant black powder-coat finish is designed to withstand the toughest off-road conditions. Requires Sport Low Profile Front Bumper (2881094).